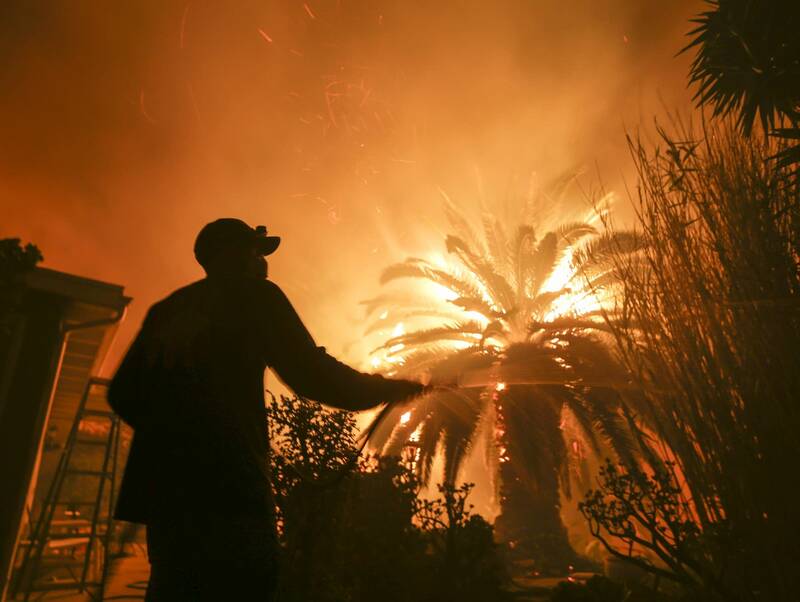 Two people were found dead and scores of houses from ranch homes to celebrities' mansions burned in a pair of wildfires that stretched across more than 100 square miles of Southern California, authorities said Saturday. 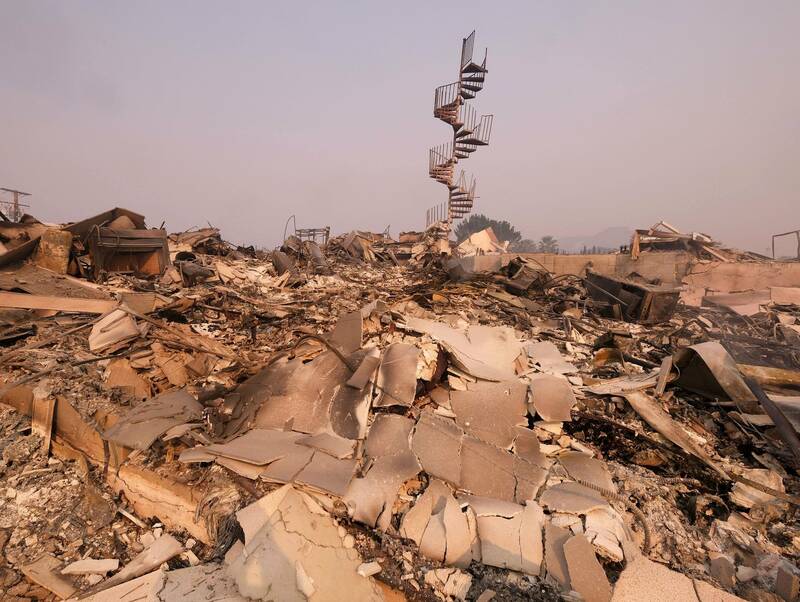 Firefighters used the lull to try to rein in the powerful blaze that had grown to 109 square miles and get a grasp of how much damage it did in its first two days. Nothing was left but the horses for Arik Fultz, who spent Saturday sifting through the charred remains of his 40-acre ranch near Malibu. Three were still in their pens when the adjacent barn caught fire, and Tricia Fultz had to open the pens, burning her hands and hoping for the best.